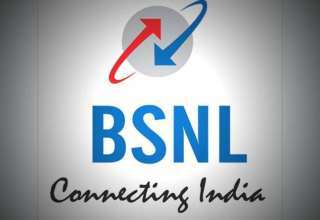 State-run Bharat Sanchar Nigam Limited, better known as BSNL has introduced an entry-level broadband plan that will provide 1.5GB of high-speed data on a daily basis for one month at a price of Rs 299. Called Experience Unlimited Broadband, the plan also offers unlimited local and STD calls across the country over BSNL network. In addition to these benefits, the customers will also get unlimited voice calling facility to any network between 10:30 pm and 6 am every day and on all Sundays. BSNL customers will also get a cashback of Rs 50 per month for 180 days on availing this new broadband plan. Customers availing this new broadband plan need to submit a security deposit amount of Rs 500. While the new plan comes with a monthly charge of Rs 299, the customers can also pay a one-time amount of Rs 3,289 for an annual subscription, Rs 6,279 for 2 years and Rs 8,970 for 3 years subscription. As per the official website of BSNL, this monthly broadband plan is currently available in all circles except Jammu & Kashmir, Andaman & Nicobar Islands, and Vadodara. As mentioned earlier, on availing this plan, the subscribers will also get Rs 50 cashback every month for a period of 180 days. Separately, BSNL has also launched a landline plan priced at Rs 299 per month. This plan offers unlimited local and STD calling benefits to any network within the country. Also, the users will not have to pay any separate installation charges for availing this plan.